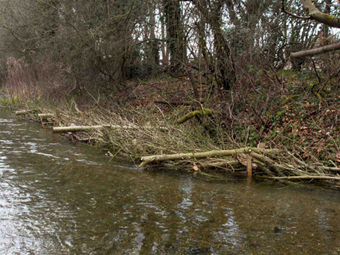 Interested in some practical work to improve and maintain the ecology of the Ver and improve the bio-diversity of its bank? Then the Ver Valley Society Action Group may be what you are looking for! 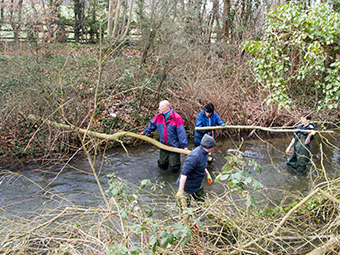 Every month, usually on the third Saturday of the month, we meet to undertake practical tasks such as removing overhanging branches that are shading the river; improving the access to the river by maintaining and controlling the vegetation on the bankside and footpaths; removing invasive plant species, such as Himalayan Balsam. 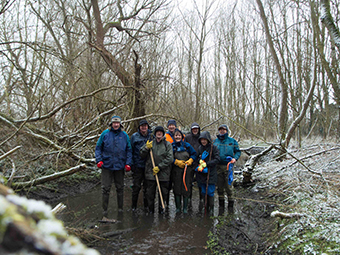 No previous experience is necessary nor, do you have to be a member of the Ver Valley Society to participate – if you are interested in helping the environment and are over the age of 18, then contact our co-ordinator or any member of the committee for more information. See what we are doing and have done recently here. For further information contact the Ver Valley Society Action Group Co-ordinator, Richard Wallis. Please email or call 07710 313937.